Enjoy the Thanksgiving humor below. If you’re looking for more Thanksgiving info including Thanksgiving cards, postcards, quotes, dinner ideas, prayers, poetry and more! 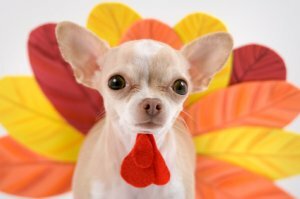 Go to the Thanksgiving Day main page. Q: How can you send a turkey through the post office? Q: What has feathers and webbed feet? A: I’ll let you know next week. Q: What do you call a dumb gobbler? A:Because he had the drumsticks. “Let me think a second. Mom laid the egg in 1954. Christy Murphy is a writer, comedian and founder of MyThankYouSite.com. This is the new-improved, updated of the original My-Thank-You-Site.com, which has received over 11 million visitors across the world. Thank you for reading this and visiting the site.